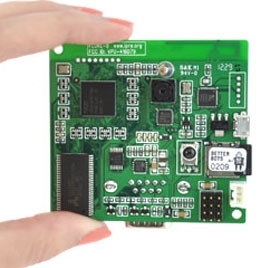 This item plugs into your Scribbler robot to provide communication with your computer and also color vision and other sensors. 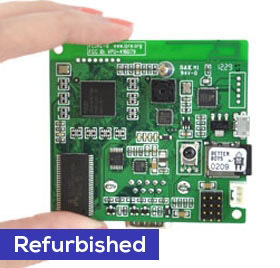 This is the updated Fluke2 product with new high resolution camera that replaces the original Fluke board. 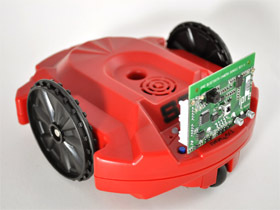 Academic courses based on the IPRE curriculum require the purchase of a fluke board and a scribbler robot. This is the robot that the Fluke plugs into. Photo shows Scribbler 2 with Fluke installed. This IPRE Fluke2 has been remanufactured in our factory and tested to ensure functionality. It has been previously owned by students and could have markings or cosmetic defects. 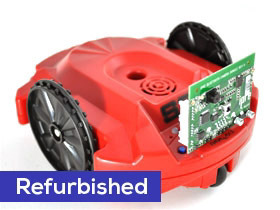 This Scribbler2 robot has been remanufactured in our factory and tested to ensure functionality. It has been previously owned by students and could have markings or cosmetic defects.